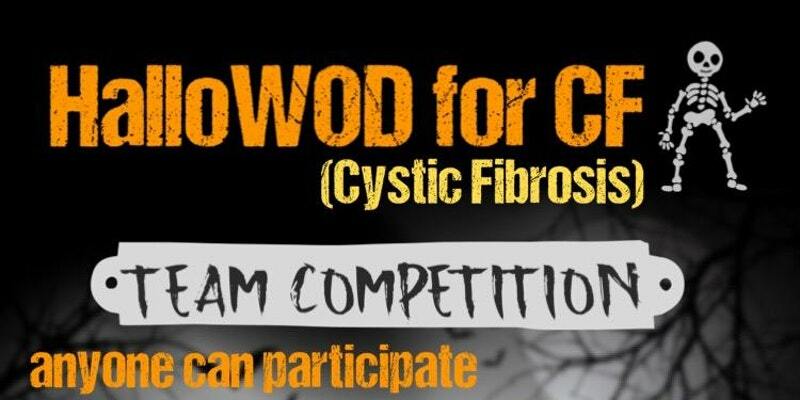 We are holding a Halloween themed WOD to support Cystic Fibrosis. 100% of proceeds will go towards the Charlotte Chapter of CF. Costumes are not required, but highly encouraged and there will be a prize(s) for the best costume. In addition to accepting donations we will have a large array of raffle prizes to auction off! Some include gift cards to Mortimers, Leroy Fox, The Good Kithcen, Cowbell, Massages, and Hair cut/color. We will run heats every 30 minutes with the first heat starting at 9am, so sign up early for the heat time you and your partner would like! Please keep in mind that ALL can participate! 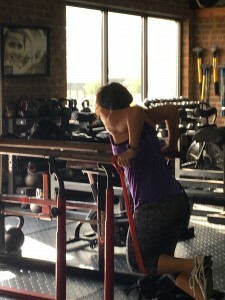 It will be a great workout, but will also be approachable and enjoyable for those who don’t necessarily do CrossFit! We are not asking for a certain amount of money when you register for a heat (but Eventbrite will not let you put in zero either-just as an FYI). If you feel more comfortable donating in person or buying lots of raffle tickets that’s cool, but please remember that in order to select a heat time must donate some amount. As said above 100% of proceeds go to Cystic Fibrosis! © 2019 Ultimate CrossFit Charlotte, NC. All Rights Reserved.